It’s a beautiful afternoon in downtown Athens, and you want to catch up with an old friend over coffee. Luckily you’ve managed to snag a coveted spot directly outside of Jittery Joe’s. As you rummage through your wallet, you realize you have no change to pay for the spot and unfortunately this meter is not accepting credit cards. You are an Athens native who ventures downtown for every concert at the Georgia Theatre. Sadly, the two-hour parking time limit on the meters is a struggle when you can’t pull yourself away from your front row seats at the Theatre. If only there was a way to add time to your meter remotely! As a first time tourist to the Classic City, you are so excited to explore every single store downtown. However, you somehow wound up a solid ten minutes away from your original parking spot and can’t recall how to get back to your car. Now with the assistance of our app, parQR, parking is an ease. parQR implements QR code technology by giving users the chance to either scan a QR code into the app directly from the meter or simply enter a numerical code assigned to each meter. After claiming a parking spot in the app, users are instructed to select the amount of time they wish to pay for. Once a time is selected and payment is confirmed, a countdown timer will automatically start. Then once the total time has elapsed, users will receive a notification prompting them to either exit out of the app or add additional time to their meter. If they select to not add time and wish to return to their car, the app can also help direct them back to their spot via a map. Being frustrated with parking meters is a thing of the past! We hope to connect the Athens community by giving them more free time when parking downtown to enjoy their time there and not have to worry about the hassle associated with traditional meters. 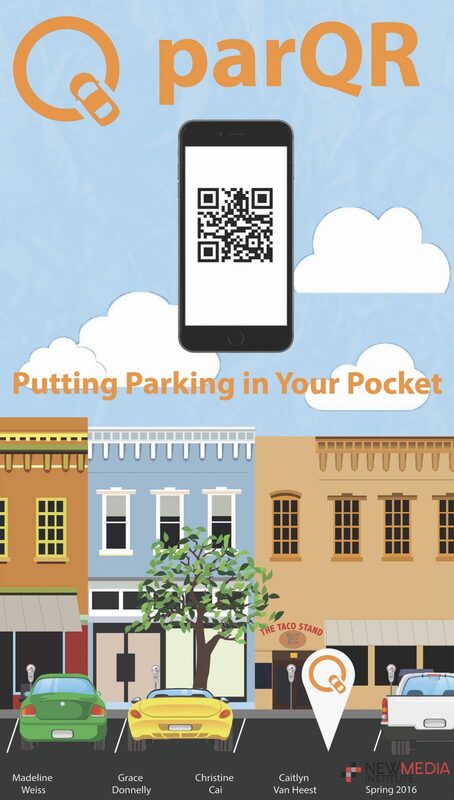 Paying to park can easily be done as you walk from your spot to your destination….parQR puts parking in your pocket!